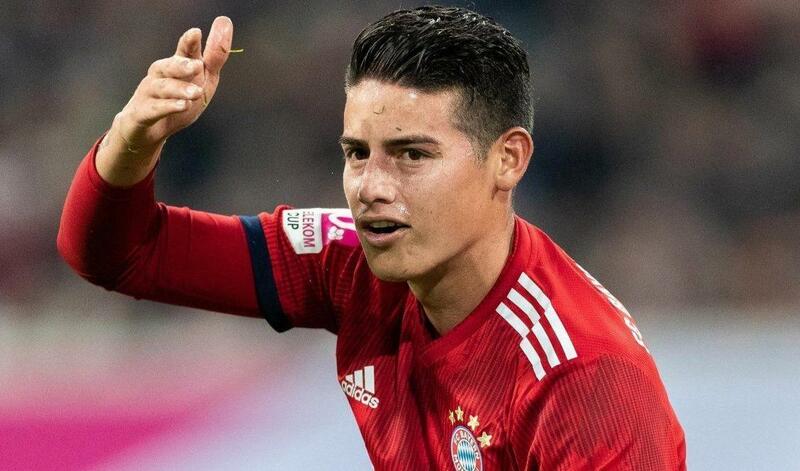 Arsenal are mulling over a loan move for James Rodriguez from Real Madrid, according to The Independent. The Gunners have made contact with Los Blancos to discuss the possibility of signing the Colombia international on loan until the end of the season. The 27-year-old, who is currently on loan to Bayern Munich until the end of the season and Madrid are apparently keen to sell him on a permanent in the summer. As well as Arsenal, the highly-rated midfielder is believed to also be attracting interest from Serie A outfit Napoli. The Colombian is keen to try and fight for a place in Santiago Solari’s side when he is due to return to the Bernabéu in the summer. Rodriguez has only started five Bundesliga appearances so far this season.